TCC is partnering with Casa Huichol to revitalize the urban garden at their nonprofit center, which supports the Huichol indigenous communities of western Mexico. The garden is located in the urban area of Zapopan, near Guadalajara, in the state of Jalisco, Mexico. Casa Huichol facilitates medical and other services for the Huichol families coming to the city from the mountains of the western Sierra Madre. While the Huichol use their traditional medicine for many purposes, serious illnesses or injuries often necessitate seeking medical services in the city, and an extended stay at Casa Huichol. 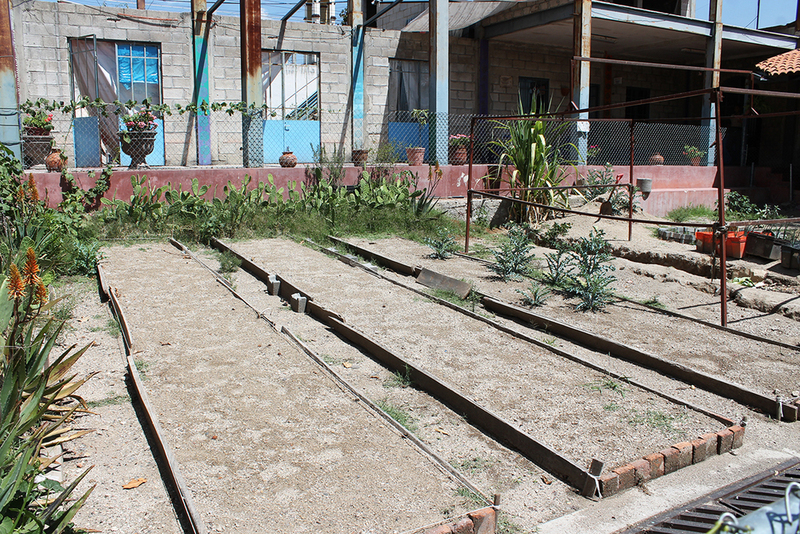 Our support is needed to revitalize the garden so that it can once again flourish and supply healthy organic produce to the kitchen, which provides meals for the Huichol families utilizing the center's services. Additionally the revitalization project is adding more medicinal plant species to the garden for the center's use, and for educational purposes to pass on knowledge to the younger generation about Huichol traditional medicine, healthy foods, and organic gardening. You can help provide organic food and natural medicines to the Casa Huichol community by donating below! Are you, your company or organization interested in becoming a sponsor of the garden? Contact the coordinators below!